I’ve spent a lot of time working hard in many make-believe sim worlds. I’ve had to manage a frozen city and get all hot under the collar about the cost of underwater heating in Cities: Skylines, I’ve run a small fantasy shop in a medieval village with Shoppe Keep, and I’ve tried my best to ensure the good people of the UK had a reliable train service with Train Sim World: Founders Edition. It seems like I’m a glutton for punishment though as today I’m trying to build a successful farming empire… again! 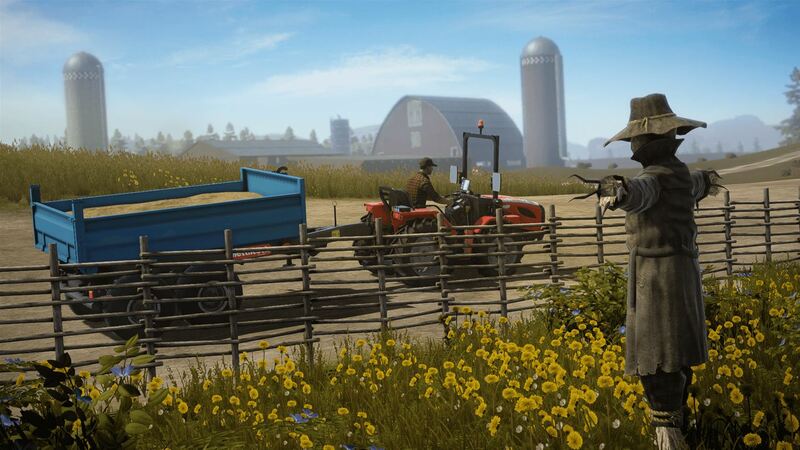 Pure Farming is the latest in the ever-growing genre of farming titles and as I’ve utilised my skills as a farmer before, I knew exactly what I was getting into. But what is there with Pure Farming 2018 that will make anyone want to leave the big smoke and head to the country? Or should we be forgetting about the chicken sheds and try to make it in hotel management instead? The big issue with most farming games is that it’s hard to appeal to the non-farmers out there. The games can seem unwieldy and, to be frank, a bit dull. You plough a field meticulously for an hour, then plant seeds for an hour, then reap and sell. Repeat that day after day and that’s your basic farm sim. 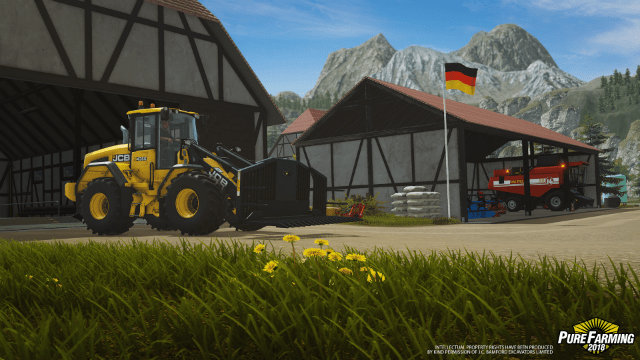 But Pure Farming 2018 aims to lift the bar a tad, with some brilliantly simple menus, interesting gameplay and a whole load of new countries to explore. The developers behind it have really tried to make this the daddy of all farming experiences and if I’m honest, the hard work is showing up on the screen. You basically have three modes found within Pure Farming. The first of the bunch is the campaign/story mode. Here you are placed as the grandson of a farmer who gets pulled back into the family business after the death of said relative. You start the game with a farm, a few vehicles and a load of debt. But don’t worry – as the tutorial tells you – as you’ll soon be able to pay this off. I was worried already though as no matter how reassuring the tutorial was, any sim title is tough to get to grips with. But the game very gently takes you through all the ins and outs of the farming world; how to drive tractors and take care of them, how to plough, plant, cultivate, and fertilize fields, and how to then sell your goods. Everything is displayed on every farmer’s best friend – a tablet style device. This keeps track of your emails and provides plenty of hints and tips. It has all the statistics that you could ever want, showing each field you own, its yield, your workers, and most importantly, your profits. You can use this tablet to shop for new vehicles, or extra farm equipment and resources as well. You may even wish to browse the stock market or apply for another loan from the bank. And once you’ve spent a few hours messing around on the farm, will get even more stats by sending up a drone which lets you survey your empire from above. This is a great little feature. 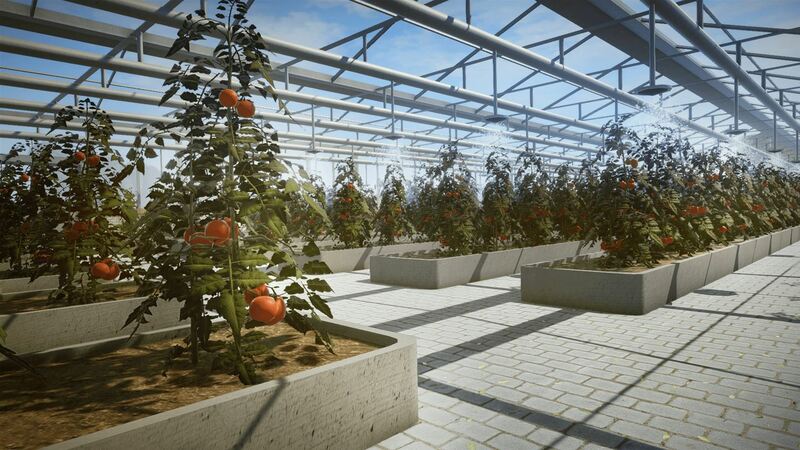 As you would probably expect, Pure Farming 2018 takes you across all aspects of the farming world, from orchard picking to animal husbandry. But it also takes you around the world to another four countries – at least if you include Germany in the DLC – and all the different farming techniques found within each. There are lots of little side quests that you can take on whilst you are waiting for your corn to grow and these can earn you some much needed extra bucks. It all works fine, but the big question that you have to ask yourself is whether you’re willing to put in the work required. And that’s because, at times, it’s a hard slog. I’ve spent an hour waiting by the side of the field for it to stop raining so I can begin the harvest, I’ve spent countless minutes scouring the field for that extra area that I missed while ploughing and I’ve waited days for my hens to successfully lay eggs before waiting too long to sell them. It was a dark day for the soul when that happened. When you have ploughed loads of hours into the campaign, there is also the option to head into a free farm mode whereby you select how much money you want and then go mad, all with the restrictions and safety wheels off. Then there are the challenge modes that take you across the world to all the farms delivering time restricted challenges that will test your farming skills to the max. There is so much to do and so much detail in every aspect of the tasks, that those farming sim fans out there will be like a pig in muck. The one thing that is missing is any multiplayer action though. This is one farming title that looks fine too, but it’s nothing you’ll find yourself shouting home about. The vehicles all look shiny and excellent, and fans will like what they see, but I do think some of the textures need a bit more polish. That said, the landscapes look lush and the variation in the countries is excellent, but the world does feel a bit empty. The UI, the menu design and the brilliant drone views though are great. 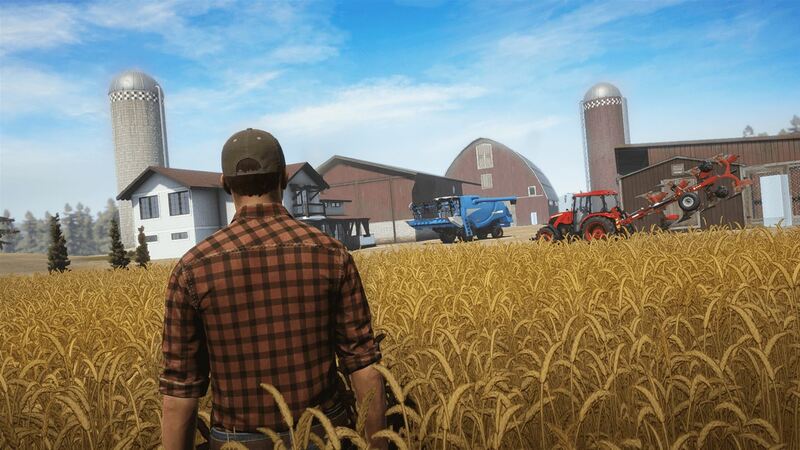 Pure Farming 2018 is the best farming sim title that I’ve played on this generation of console. If you’ve always been curious about trying one of these games then this will be a great place to start, and the seasoned professional will adore the content and challenges – with the added bonus of taking in farming ideas from other countries. It’s a bit of a shame about the lack of multiplayer though. Now excuse me I have some tomatoes to deliver, rabbits to sell and the plough needs a good old scrub.